“Hello everyone my name is Yu Lian Chen, from Malaysia, very grateful to have this opportunity to share my story and experience in here. Before I tell you about how I have recovered from gambling addict Lymphoma patient to someone who is healthy and happy. I used to spend day and night in Casino lost all of my hard earned money. Every time I regretted about it and resented myself for how on the earth I lost control of my life to gambling. From the bottom of my heart I really want to give up on gambling but no matter how hard i have been trying still ended up in square one. During that time, there was not a single night i can sleep properly, always waken up by the painful numb feeling of my hands. Subsequently, I can not really cope with my work nearly lost of my job. When I was desperate and depressed with no money and no hope. Someone introduced me to Guan Yin Citta Dharma Door, invited me to give a try given i have no other better alternatives. I started practicing the teaching of Buddhism Philosophy by Master Jun Hong Lu followed by daily prayers, lives liberation and making vows to Guan Yin Bodhisattva for positive energy, strength and blessing. A couple of days later, the unbearable numb feeling has gone completely .I was in tears and really grateful for Master Lu’s teaching, truly inspired by this amazing outcome, carried on my practice not too long before I achieved a significant milestone in giving up on gambling. Life as beautiful as it can be , it is also so unpredictable as well, last year, all of the sudden I have been diagnosed Lymphoma at my early 50th which would be something everyone at this age would expected the least. panicking and vulnerable would be most of people first reaction including myself. With not much positive feedback from the doctors, I have decided to keep practicing Buddhism prayers on top of my routine medication. I believed in Guan Yin Bodhisattva will help me with her merciful if i truly believed in her and transformed myself from a penniless gambler to someone work hard and useful to our community as well. Once again Guan Yin Bodhisattva helped me, only in a couple of months time, the cancer cell in my body has gone completely, all the tests’ results appeared to be normal. Even the doctors were stunned with my result. I told them about my experiences and become a full time vegetarian ever since. 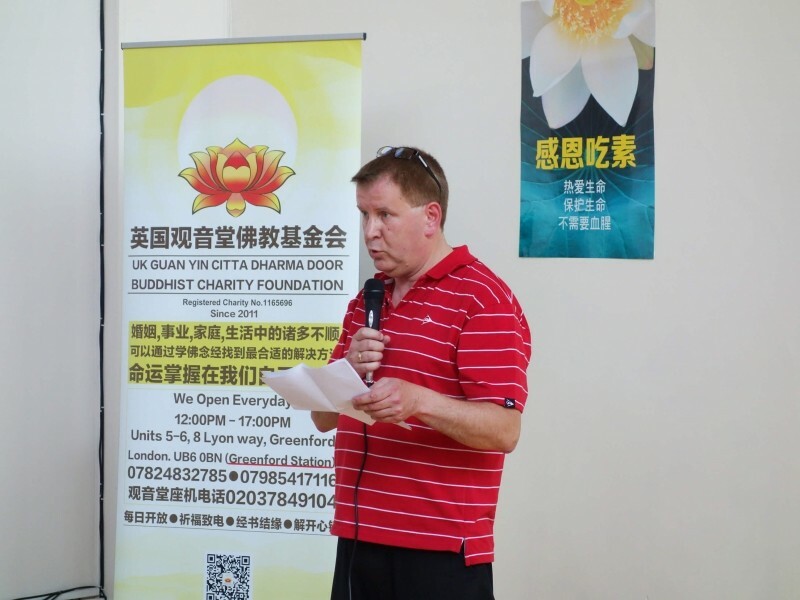 I want to take this opportunity to thank Master Lu and his team for their relentless effort in promoting Buddhism study and transitional Chinese Culture. Hundreds of Dharma Talk Function with free books, food and drinks, transportation globally. Helped countless people like me to overcome all kinds of hardships in life for free. 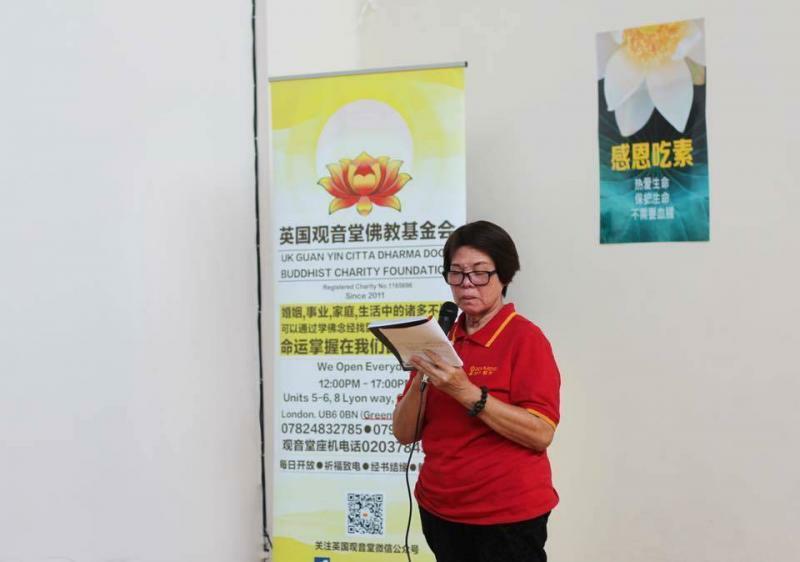 I wish whoever read about my story could give a try no matter what you going through with your life at the moment, look up Guan Yin Citta Dharma Door UK Reg Charity: 1165696 online. “My wife introduced me to Buddhism after she began following the teachings of Master Lu, the Guan Yin Citta Dharma Door. This modern straightforward Buddhism now has over 10 million followers in 50 countries and it’s tenets follow the path of peace, compassion, love and respect for all living things. Along with millions of others I started to chant every day as my daily recitation or homework, a minimum number of different prayers.these are written in Chinese, which was difficult for me at first. Once I understood the pinyin translation, I was able to chant at a good speed and increase the amount.I started at kindergarten level and with perseverance got myself to university. Regular chanting makes the whole process so easy that everyone can do it，so don’t get put off at the beginning. I also recite little houses which are a more powerful version of daily homework.These are specifically performed to repay our karmic debts from our past and benefit ourselves, family and friends.